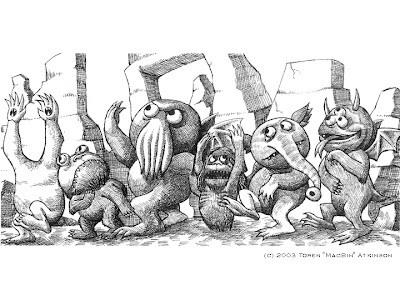 The above work titled "Where the Great Old Ones Are" is an amusing mix of H.P. Lovecraft and Maurice Sendak. The artist mentions on his deviantart page for the drawing that he can put the image onto t-shirts for those interested. 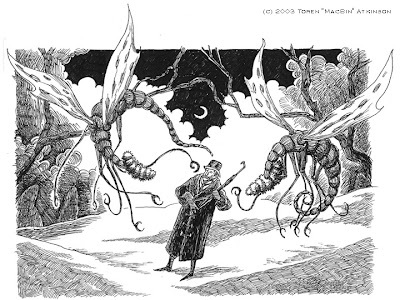 Below is another drawing by the artist combining Lovecraft creatures with the style of an Edward Gorey illustration.